An application for a proposed site development at the corner of Sound View Drive and Field Point Road, adjacent to Greenwich Town Hall, has been submitted to Greenwich Planning & Zoning. The applicant seeks to demolish three multi-family homes at 125 Field Point Road, 115 Field Point Road and 71 Sound View Drive that contain a total of 12 units. 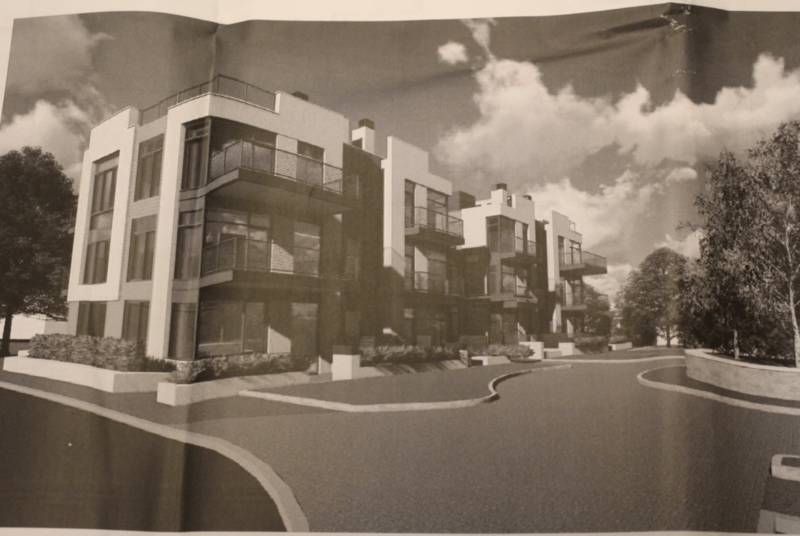 The applicants seek a special permit to build two new multi-family residential buildings, each containing six units, for a total of 12 units above a common underground parking garage with 32 parking spots and two handicapped spots. The applicant, Peterson Equities Ltd and Sharon Gillespie, executrix of the estate of Roslyn Peterson, is being represented by John Tesei and Chris Bristol of Gilbride, Tusa, Last and Spellane LLC. The engineers are SE Minor and the architect is Erik Zambell of Granoff Architects. The estimated Planning & Zoning meeting date is tentatively some time in March. The development is located inside the sharp bend where Sound View Drive meets Field Point Road. The corner is at the crest of a top of a steep hill. According to Greenwich Police Dept Sergeant Slusarz, there have been five crashes at the corner over the past two years. Four crashes took place when cars traveling westbound on Field Point Rd turned left too sharply and side-swiped northbound vehicles. In one incident a car was rear ended at the intersection. Slusarz said given the amount of traffic that flows through the intersection every day, this is a small number of crashes.